A very special thank you to all the individuals, resorts and organizations for supporting the program and "Adopting a Beach" and for regularly monitoring their beach for sea turtle activity and for keeping it turtle friendly! The map below is new and we are updating all our current volunteers. If you don't see your name or organization listed here please reach out and let us know so we can add it right away! Volunteers with ECOMAR's Turtle Watch Program monitor their "Adopted Beach" for stranded sea turtles and turtle tracks from nesting females or hatchlings and submit activity reports after they walk the beach. 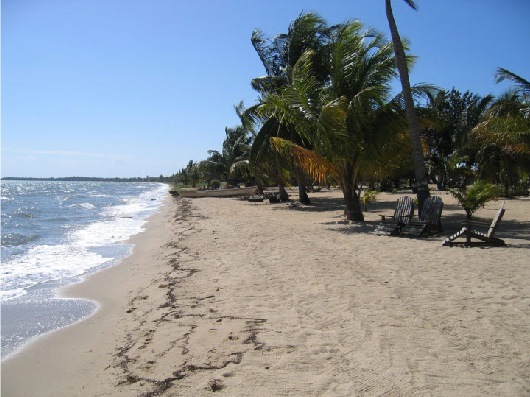 Listed below are the beaches that have been adopted by coastal property owners starting in the northern part of Belize then southward. 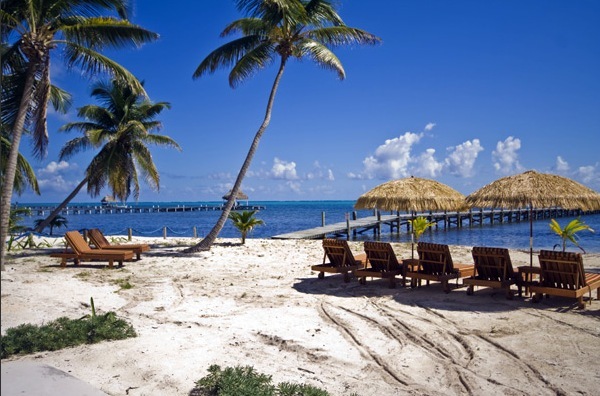 If you are traveling to Belize and would like to support an eco conscience resort you're sure to find one in the list below! Located in San Pedro, Ms. Rhonda Lawrence is on the beach early every morning and will monitor for sea turtle nesting activity. Adopted North Beach - they own approximately 10 acres of property here. Turtles regulary nest on their beach each summer! On October 16th, 2011 they accidentally uncovered 5 eggs while raking and reburied them. Located in San Pedro, Ms. Fanny Herstig of Blue Tang Inn will be monitoring their area of the beach for sea turtle activity. Ms. Peggy Mason of Casa Tortuga Villa says that sea turtles have not nested on their beach for over 40 years. They have 100 feet of beach with seawall and 150 feet of natural beach that turtles could nest on and are happy to monitor this area. Julie Babcock reports that she does not know if turtles nest on the beach in front of Caye Casa but will begin monitoring it for nesting activity. Ms. Alissa Flota of El Pescador in San Pedro has only seen one turtle nest on their beach in the past 15 years. The nest was laid on July 7th, 2007 and had over 100 eggs, but only a dozen or so hatched due to the hurricane that summer. Helene Hess of Las Terrazas is an avid diver and has been recording turtles that she sees while diving and sharing these sightings with us to add to our database - Thank you Helene! She regularly walks the beach in front of their resort. In Spring 2010, she found 7 hatchlings washed ashore on their beach but is unsure if turtles are nesting on their beach. Mata Rocks does not know if turtles nest on their beach but are very interested in the program and will begin monitoring regularly. 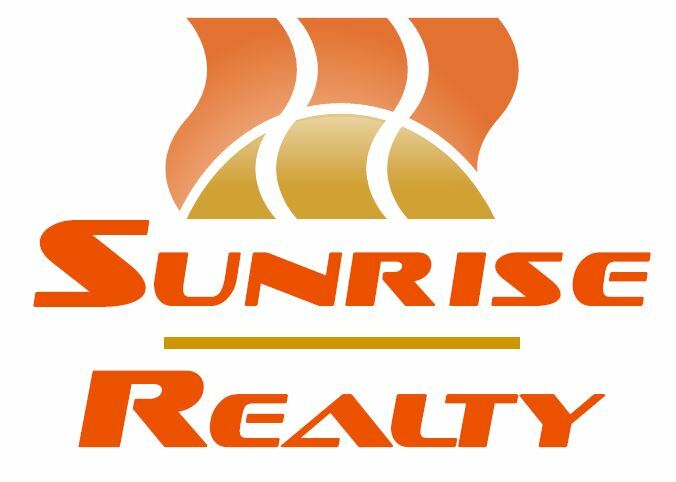 Ms. Julia Edwards, located at the heart of the town of San Pedro has seawall in front of her property. Due to the construction of the seawall, she has not seen signs of turtles in this area for the past 15 years, but supports the program. Greg Smith spearheaded early research (lates 80s early 90s) on important nesting beaches in Belize and co-authored the Belize Sea Turtle Recovery Action Plan along with WCS Belize Director Janet Gibson and Karen Eckert from WIDECAST. 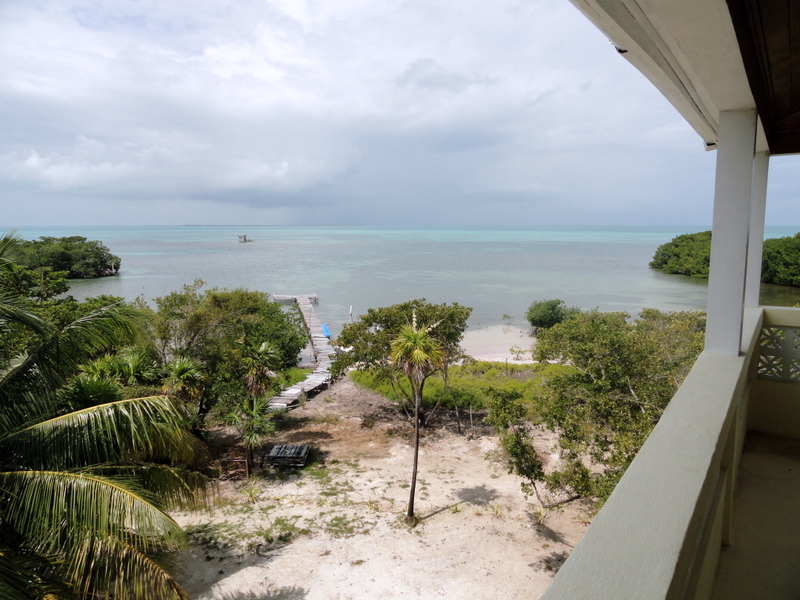 This stretch of beach is already under the care of the Bacalar Chico Marine Reserve, but there are many miles of beach that need to be monitored and we need all the help we can get! They report that they have a rocky beachfront and have not seen turtles nest in the past 7 years. 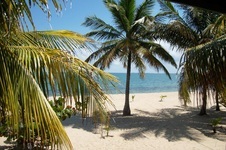 However, Barefoot Beach Belize supports the program and will assist in other monitoring programs. Chila Trejo reports that they are not sure if sea turtles nest on their beach near the split, but will begin monitoring for nesting activity. 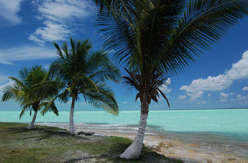 Tsunami Adventures reports that they do not know if turtles nest on their beach in Caye Caulker located near the split. Joseph and Linda Radford of Indigo Pearl do not know if turtles nest on their beach, but will begin monitoring for turtle nesting activity. Karissa Young reports that 20 years ago sea turtles frequently nested on the beach in front of Mara's Place but since the sea wall has been erected on the beachfront, no nesting activity has occurred. Doris Creasy reports that she has not seen or heard of turtles nesting on her beach or on Caye Caulker for the past 20 years. Tropical Oasis reports that they do not know if sea turtles nest on their beach, but fully support the program and will begin monitoring regularly for activity. Lynn Carpenter reports that she does not believe any sea turtles nest on their small beach in Corozal Bay, but will monitor the surrounding waters for any sea turtles. Ms. Karen Heaps says that the area around their property is a permanently submerged rocky part of shoreline that reaches up to the town seawall preventing turtles from nesting in this area. However, she is willing to assist ECOMAR with other monitoring projects and will look out for sea turtles that may be foraging in the bay. 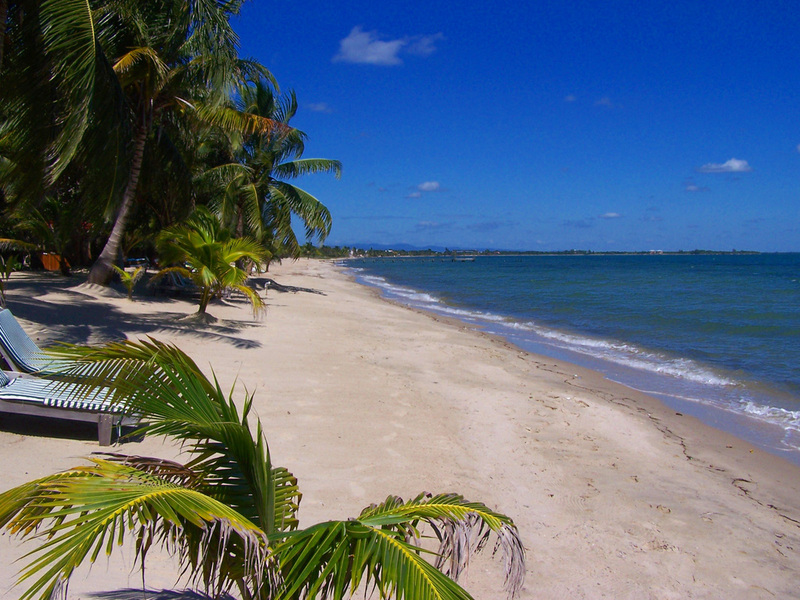 Located in Corozal, they do not know if turtles nest on their beach, but have never seen any turtles on their property. They know that fisherman used to catch sea turtles in their area so they may still be present in the surrounding waters. 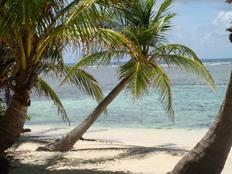 Mr. Toby Truelove of the Adventure Center at Hamanasi Resort has adopted the beach in front of Hamanasi! He does not know if turtles nest on the beach but will begin monitoring for activity. 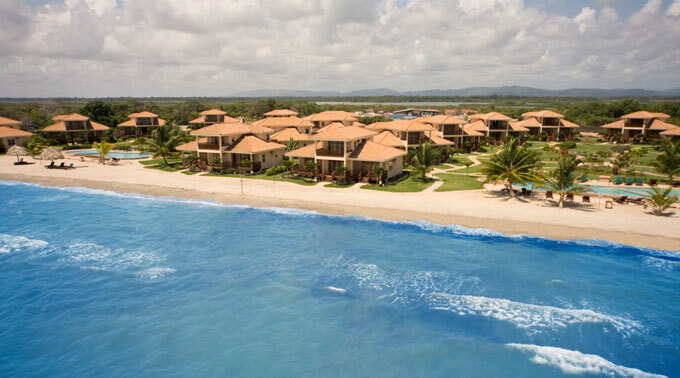 Hopkins Bay Resort sits on 0.4 miles of prime sea turtle nesting beach, that their staff and guests will monitor. 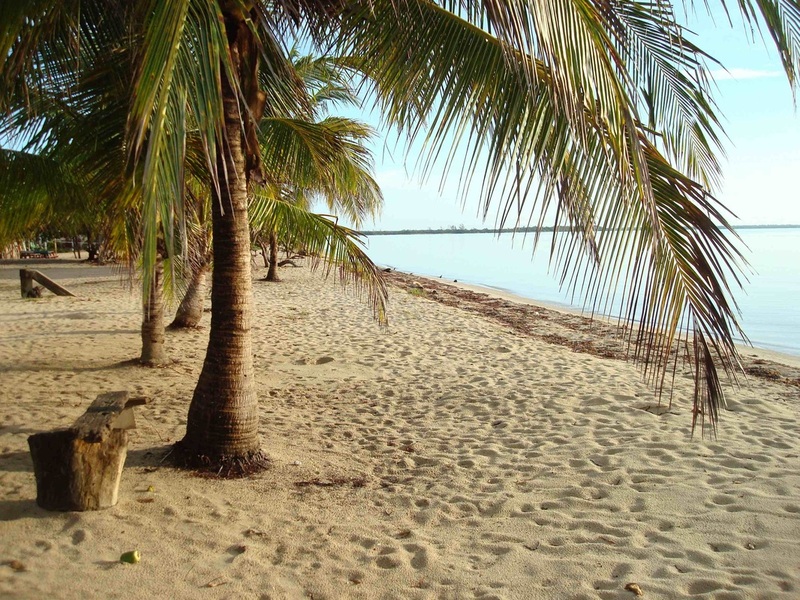 We are very grateful that Hopkins Bay has Adopted a Beach as we are now closer to our goal of getting all sandy beaches in Belize adopted! "We at Hopkins Bay Resort are passionate about the environment and extremely excited to participate in the Ecomar turtle watch. We are also very proud to have a 'turtle friendly beach.' To date we aren’t aware of any turtle activity however will monitor daily going forward." Ms. Jean Barkman in Hopkins knows that sea turtles have nested on their beach in the past but is unsure of the frequency of which nesting occurs. Ms. Dorothy Petterson of Lebeha Cabanas is unsure if turtles nest on their beach, but is excited to participate in monitoring for activity! Patricia Sturman reports that in the past 16 years she has not seen any turtle tracks or nesting activity on their beach in Hopkins. However, she will be more than happy to let us know if there is any activity in the future! 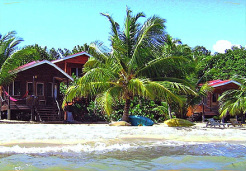 The University of Belize's Environmental Research Institute operates a field station on Calabash Caye,Turneffe Atoll. They are active members of the Belize Sea Turtle Conservation Network and conduct regular beach monitoring and in-water monitoring for sea turtles in Belize. 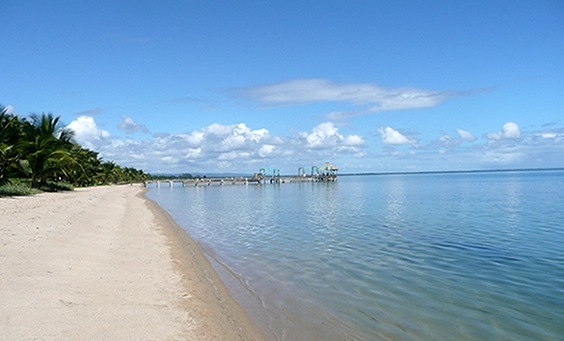 Jennifer McDougall at International Zoological Expeditions (IZE) has adopted the beaches on South Water Caye, which is the namesake for the South Water Caye Marine Reserve, which is part of the Belize Barrier Reef Reserve System World Heritage Site. IZE Belize hosts many student groups each year and participating in the Adopt A Beach program and monitoring for turtle activity is a great way to get them involved in hands on conservation and research! The residents and resorts on South Water Caye are VERY fortunate to have turtles return again and again to nest on the island. This is a great attractant for visitors to this tiny island and all residents and property owners should ensure that the turtles are not harmed in anyway and are able to nest safely. Small islands in Belize are important nesting beaches and through the Sea Turtle Census we hope to prove with statistics just how important! 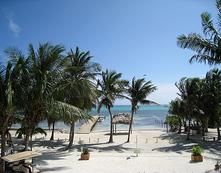 The Oceanic Society has been leading natural history tours and gathering information on the marine life at Blackbird Caye since the 1990s. Turtles nest regularly on their beach and they have been important contributors to the In-Water and Nesting Beach Observations Programs which comprise the Annual Sea Turtle Census. 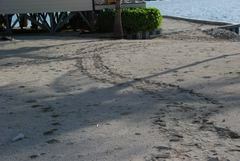 Craig and Karen Hayes reported that a turtle nested on their beach on October 6th, 2011. This is exciting news for Turneffe Flats since the last turtle tracks observed were about 10 years ago. 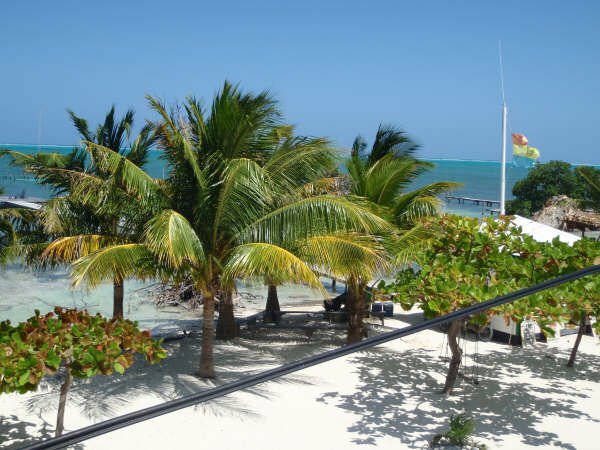 Located on Tobacco Caye, it has been years since they have seen any turtles nesting on their property due to what they believe to be extensive artificial lighting. However, one year in the past, they had up to 13 nests on the Caye. 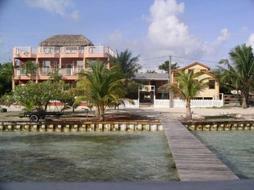 Royal Belize Reception is located on a private caye with seawall surrounding the entire caye. Because of this, no beaches are available for nesting turtles however, they will assist with ECOMAR's other monitoring programs. Kay Westby does not know if turtles nest on their beach but will begin monitoring for activity. 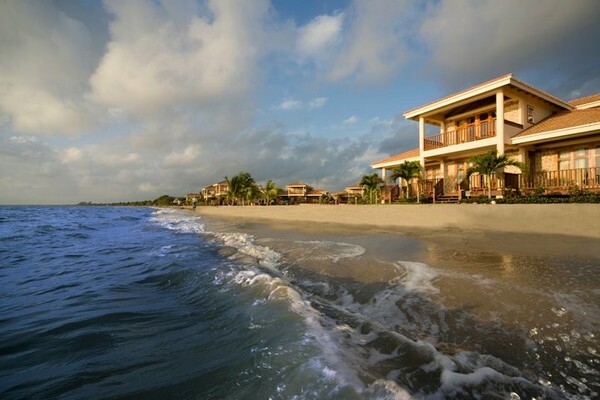 Mr. Stefano Ragagnin has two properties, one in Placencia and one in Punta Negra. A few years ago, he found one small turtle on his beach that was injured and did not survive. He and his business partner will monitor their properties for sea turtle activity. Mr. David Allardice adopted an area of Maya Beach in front of their resort and is not sure if sea turtles nest on their beachfront. Ms. Antionette Miller walks her dogs on the beach every day and has not seen any turtles on their property for the past 18 years and does not believe she has seen any signs of turtle tracks or nesting on their beach either but is eager to assist the Belize Turtle Watch Program and monitor for any new activity. 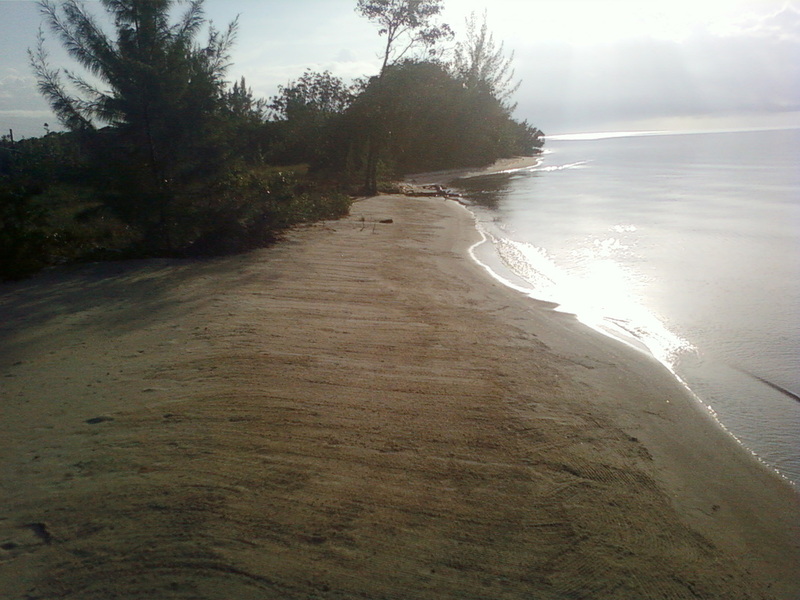 Mr. Jean-Marc Tasse adopted the beach in front of his resort. He knows that sea turtles have nested on this beach in the past, but is not sure of the frequency with which nesting has occurred. Mr. Javier Duenas adopted an area of Maya Beach in front of their villa and is not sure if sea turtles nest on their beach but will monitor the beach regularly. 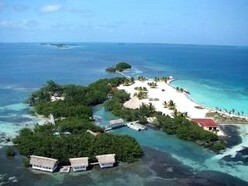 The Bacalar Chico Marine Reserve is managed by the Belize Fisheries Department. 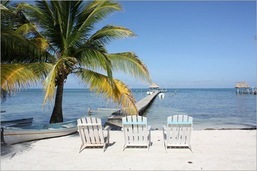 It is Belize's northernmost protected area and borders Mexico. 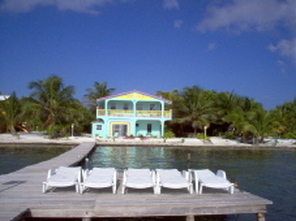 It extends southward on the eastern shores of Ambergis Caye to the NOVA Shrimp Hatchery at Basil Jones. 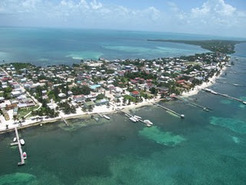 There are roughly 13 km (8 miles) of sandy beach in the Bacalar Chico Marine Reserve. 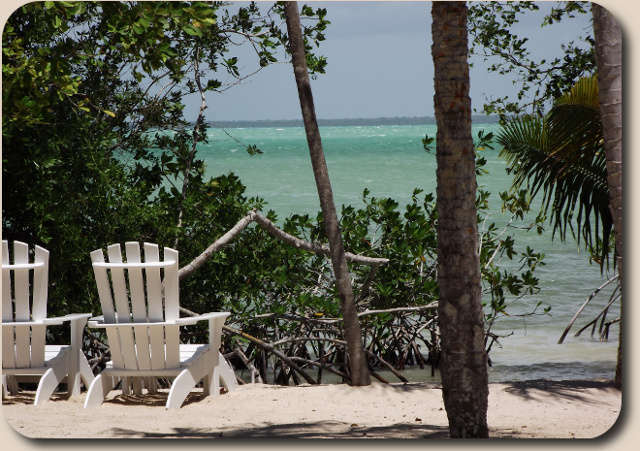 Staff from both the Bacalar Chico and Hol Chan Marine Reserve monitor the beach regularly for nesting activity. 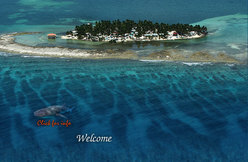 Half Moon Caye, Lighthouse Atoll. In 1928 the red footed booby bird rookery became a Crown Reserve, Belize first protected area and in 1979 the entire island gained protection. 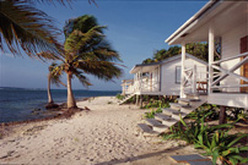 In 1982 Half Moon Caye was designated a Natural Monument and in 1996 become part of the Belize Barrier Reef Reserve System World Heritage Site. The Belize Audubon Society has been managing this magnificent marine protected area and monitoring for sea turtle activity. Green sea turtles used to bask on the beach here many decades ago. This is many people's favorite island and place on Earth! If you've ever been here, you'll know why!